Increasing budget cuts have impacted many areas of the school curriculum and co-curricular activities. Small school districts have especially felt the crunch as many courses and activities can no longer be offered because of fiscal restraints. This is often true in the fine arts, which are frequently the first targets for cutbacks. 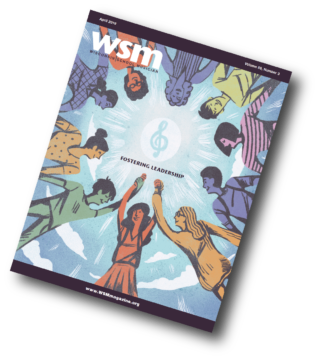 With this in mind, the function of a parent music booster organization is becoming increasingly important to the continued success of the school music program. The following is an overview of how one music booster organization supports its local school music program. 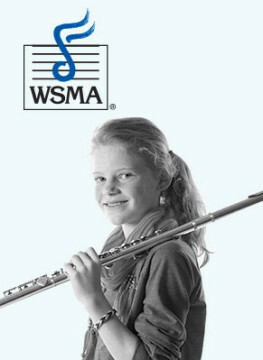 The Columbus Music Boosters is an organization of music students’ parents in grades 5-12. A monthly meeting is led by a nine-member board of directors with each member serving a three-year term. Each board member is either an officer or a committee chairperson. The music directors (K-12) also meet with the board to share input regarding their needs. The Columbus Music Boosters support a philosophy that participation in music activities encourages well-rounded development of students. They develop self-discipline, self-confidence and a sense of commitment through music programs. It is the belief of the Music Boosters to lend all possible support to the music department. This allows directors to focus on students while parents focus on supplemental support of the program. They support all K-6 music classrooms as well as eight bands and six choirs at the middle and high school levels. Perhaps the biggest dilemma facing a booster organization is how to get parents involved. An article about the music boosters placed in the local newspaper brings exposure to the organization. At the beginning of the year, the Columbus Music Boosters send out a letter to all music students’ parents in grades 5-12 stating the purpose of the organization and ways they support the music departments. A return portion of the letter allows parents to specify areas in which they feel they could offer help, such as fundraising, hospitality, chaperoning, publicity or concessions. On the form, parents also have the option to make a monetary donation. From this information, volunteers are then called to help at various music events throughout the year. They are asked to assist at the high school marching band camp with such tasks as fitting uniforms or providing food for the end-of-camp picnic. They assist at marching competitions by working on props, overseeing uniforms, chaperoning and providing snacks for students after the competitions. Parents chaperone concerts, trips, clinics and solo and ensemble events as well as assist at parades. At the annual high school Jazz Cabaret, parents furnish a variety of desserts, which the students serve to the audience. At the high school musical, boosters sell tickets, work behind-the-scenes on make-up and costumes and provide the cake for the cast party. Community support is developed when parents deliver concert posters to local businesses. The Music Boosters also run the concessions stand for all home basketball games. In the past, the Columbus Music Boosters has coordinated volunteers for the conference solo/ensemble contest as well as hosting a high school marching band competition. Financial support is generated through a variety of efforts. Donations are accepted at any time. Drop-boxes for community contributions are placed at each music event. On the back of the event programs, a Music Booster message explains where collected monies could be used. Various fundraisers are held, including selling entertainment books, candy, wrapping paper, discount pizza cards and discount movie tickets. During the fundraisers, information is placed in the local paper and a fundraising table is set up at music events and at home football and basketball games. The money raised by the Music Boosters provides additional funds for the music directors beyond their school budget. Each director is given a specified amount to use in ways that enhance his/her curriculum. Funds are provided for equipment, instruments, sound systems, performance attire, guest artists, the Opera for the Young, computer equipment and software dedicated to music development. A contribution to trip expenses is given to high school students for their out-of-state trip every four years. The Boosters also foster music education outside the reach of the school music program. Scholarships for summer music camps and for a senior music student pursuing a career in music education assist students when participating in enriching musical experiences. After the middle school holiday concert, the Boosters host a reception for concert-goers. High school senior music students are honored at a reception following their spring concert. The Boosters also provide funds for annual music awards and recognitions. The combined efforts of the Columbus Music Boosters board of directors and parent volunteers provide a supportive role in the development of music students. The main purpose is to express to students that many people support their musical experiences in a positive way. When parents know specifically what help is needed to develop their children’s music experiences, they are willing to give their moral and financial support. In a time when budgets are being cut, music booster organizations need to become more active in their support of school music programs. The efforts will provide for the development of well-rounded students through positive musical experiences. 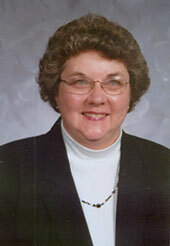 Karen Plantenberg is President of the Columbus Music Boosters. This is her fifth year serving on the board and first year as president. She can be contacted at karen_plantenberg@columbus.k12.wi.us.